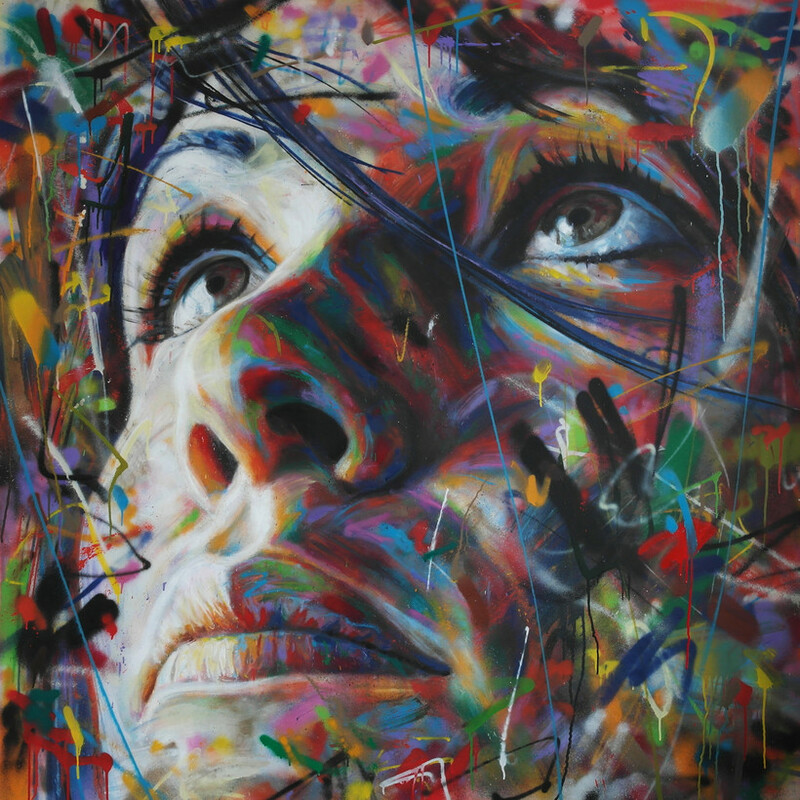 Robert Fontaine Gallery, located in the heart of the Wynwood Arts District, will showcase new works by London-born, Berlinbased artist David Walker in his first major United States solo exhibition entitled “Swapping Souls With Strangers.” The opening reception will be held Saturday, May 10 from 5 to 8 p.m. during Wynwood’s Second Saturday Art Walk. The exhibit will be on view May 10 through May 31. Showcasing 12 new large-scale portraits (with some pieces reaching heights of over six feet), Walker creates a multi-layer canvas of spray paint. He works freehand without the aid of brushes, stencils or a projector, and approaches the traditional subject of portraiture with the contemporary visual language of urban art and graffiti. His pieces exist both on the streets and in the gallery. High levels of detail and workmanship give his paintings a fine art aspect, which both attract and repel the viewer with what he refers to as “ugly mark making,” challenging preconceptions about fine and urban art painting. Walker will also debut a series of word art pieces devoid of color utilizing an experimental “wet painting” technique. The show’s title “Swapping Souls With Strangers” refers to the relationship between artist and subject as a personal, profound and sometimes lifechanging experience, as well as Walker’s personal journey relocating from London to Berlin and the people he’s met along the way. Miami can look forward to Walker creating a new original work on the streets of Wynwood, as well as the release of a hand-finished, limited edition print.